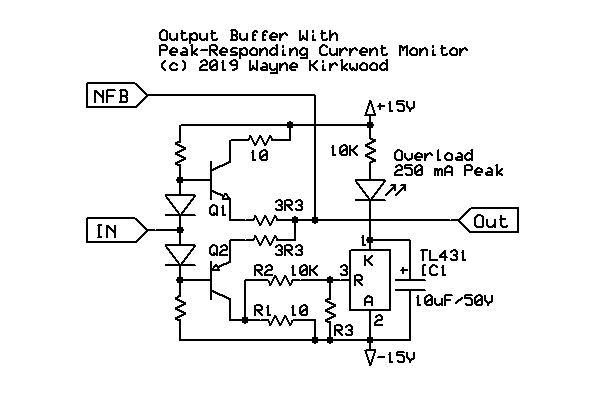 A peak responding current shunt monitor using a TL431 as a comparator to indicate driver overload. BTW the output lead never leaves the box so it would be hard for the end-user to short it. Otherwise I would have used active current-limiting. It really does make a nice, precise turn-on voltage, "transistor" or level-shifter. The link above shows several examples one of which is a turn-on sequencer. For DIY do what floats your boat, in large scale production I have seen small specialty circuits come and go... hopefully its primary function (shunt regulator?) will keep it in active production for a while. How long before we have to buy them from Uli's fab in China? I have seen small specialty circuits come and go... hopefully its primary function (shunt regulator?) will keep it in active production for a while. The TL431 and a companion optocoupler are used in virtually every switching power supply ever made and is multi-sourced. Meanwell, Astec, Antec and everyone else may just have it wrong about the TL431. There are probably 2 or 3 within 20 feet of you if not more. Its as common, if not more so, than a 2N3904. Mouser has 14 pages of TL431 inventory. I added the quantity on-hand at Mouser that I found on the first page. The total was 1.42 million units available just on the first page. I have to go to page 10 of the listing before I start finding the ones that are on order. There could easily be 2-3 million units sitting in Mansfield at Mouser HQ. I have to wonder if Mouser has that many of a single part number in any other semiconductor or any other part for that matter. 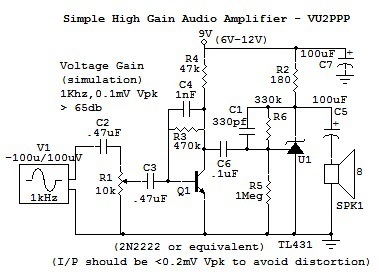 Which is kinda why I didn't use an LM675 as the power driver and opted for an op amp and a couple of transistors.